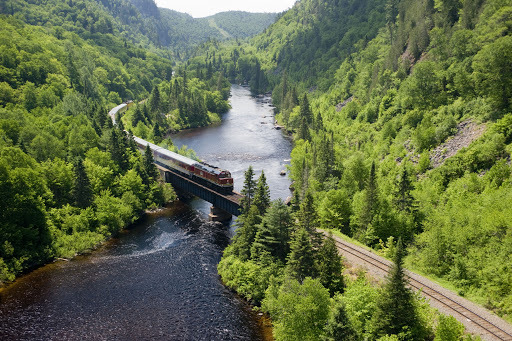 Yesterday morning, Canadian Federal Transport Minister, Lisa Raitt, announced that passenger service on the Algoma Central Railway (ACR) would be extended through March 31, 2015. Canadian National Railway (CNR) had announced on January 24 that passenger train service on the ACR north of Sault Ste. Marie, Ontario would cease on March 31, 2014. The ACR runs regular passenger service through the heart of 22,000 square miles of wilderness areas north of Lake Superior, providing access to many lakes, rivers, and other recreational areas on the other side of our northernmost Great Lake. As the plan to eliminate passenger service prompted an effort to save the route, igniting passion from people who say there is no other way to access some remote regions, Canadian National extended the service deadline to April 29. The brief extension allowed for a working group to form with the short-term goal of reaching an agreement to keep the trains running for another year, through talks among stakeholders, federal and provincial officials, and railroad management. The respected accounting firm, BDO Canada LLP, agreed to help assess the economic impact of the Algoma Central passenger service. The Sault Ste. Marie City Council voted $50,000 to support the effort. The ultimate goal of the working group is to find a long term solution that will benefit all – and preserve this vital passenger service. Last week, it was reported that a survey of riders and nearby stakeholders drew in nearly 500 responses, providing a significant sample size for the economic assessment of the service.The results of the economic assessment will guide the working group’s case to the Canadian federal governmentthat the Algoma Central Railway is a worthwhile investment. At issue is $2.2 million in annual funding provided to ACR, operating on tracks owned by Canadian National. The previous decision to cut the federal funding was ostensibly based on the Transport Ministry’s re-definition of “remote access” that effectively excludes the Algoma Central Railway passenger service. The ACR was determined to no longer qualify since the “scheduled” stops are served by roads. As noted by many speakers at a standing-room-only February townhall meeting in Sault Ste. Marie, most of the sixty-four unscheduled whistle stops along the route are at locations far from any useable road. Even where adequate roads do exist, they are often closed in the winter making properties and commercial ventures reachable only by train. January’s news was unanticipated and shocking for people who live and work along the 300 miles of track that stretch from Sault Ste. Marie to Hearst, Ontario. Not only have generations of “cottagers” used the train to get to their properties in this remote area, but there are scores of business owners who operate hunting and fishing lodges along the route who may lose their very livelihoods. One, a trapper, said he would now be unable even to retrieve his trap lines, worth thousands of dollars, if the train ceased operating as announced. Others spoke of ambitious plans to expand a fledgling tourist industry focused on sustainable, environmentally sound, ecological and cultural tourism. 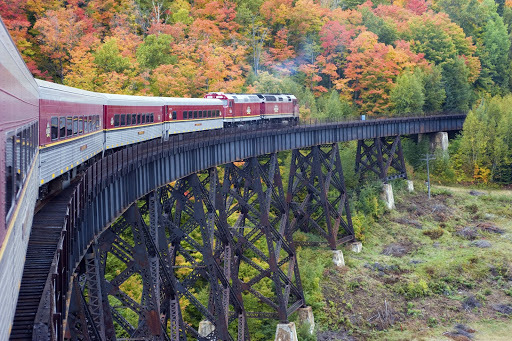 The Agawa Canyon fall color tours and the snow train are well-known (and also in jeopardy) and the Searchmont Ski Resort is popular. Less well known is the Searchmont Music Festival which last fall featured a special train to the event, with musicians on board and troubadours leading folks from the train to the festival grounds. Also afoot are plans to expand the scope of the annual train tour celebrating the legacy of Canada’s famous “Group of Seven” landscape painters and offering a bonus exploration of the town of Wawa where the pianist Glenn Gould liked to hang out. A teacher spoke of the convenience of the train for getting students to Hearst or French language immersion study. The one-year service extension will give stakeholders and local municipal leaders along the Algoma more time to develop a long-term sustainable solution for the passenger rail service.